Hey, hey, hey, Groove-ophiles! 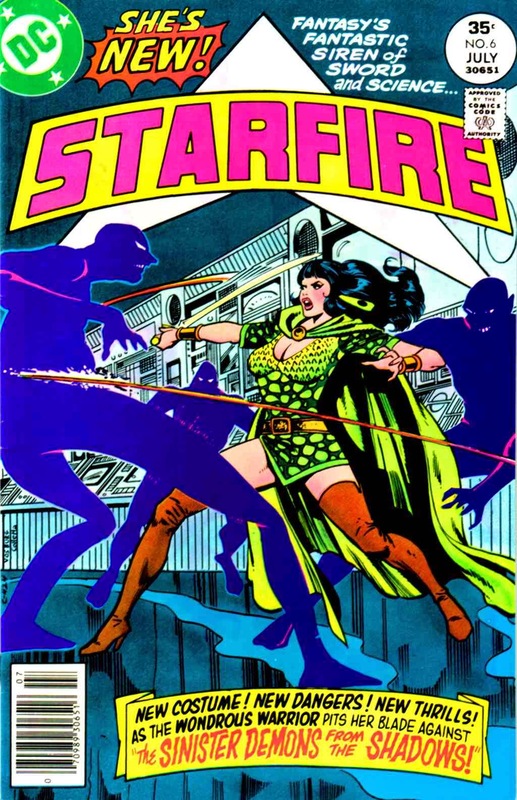 'Tis been waaaaaay too long since we dug on an ish of DC's spectacular science fantasy Starfire, so let's check out ish #6 (March 1977)! 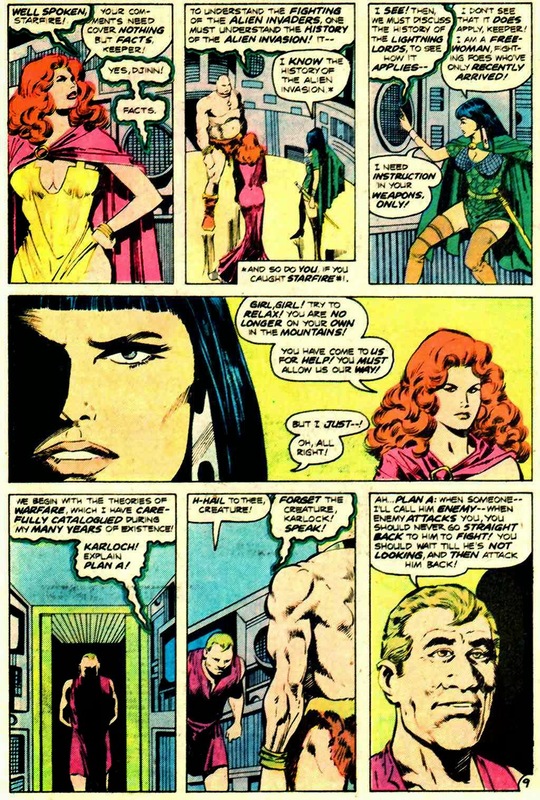 "Citadel of Silence" is the first part of a two-part fill-in mini-epic written by Steve (Avengers, Captain America, Batman) Englehart, so that makes it kinda cool. It's also the ish in which artist Mike Vosburg gives Starfire a new outfit (keeping some of the original's Valentina-inspired motif), so that makes it even cooler! Check it out! Interesting that you call Englehart's contribution to the series a "fill-in." As I recall, there really never was a regular writer for Starfire (probably one of the reasons why it was cancelled so quickly). So basically, they were all "fill-in" writers, weren't they? Anyway, as with the Man-Wolf posts, it's almost becoming traditional for me to whine about a collected edition for these, so here goes: c'mon DC, throw a bone, here! I actually called it a fill-in 'cause that's what the editors called it in the letters page of that self-same ish. 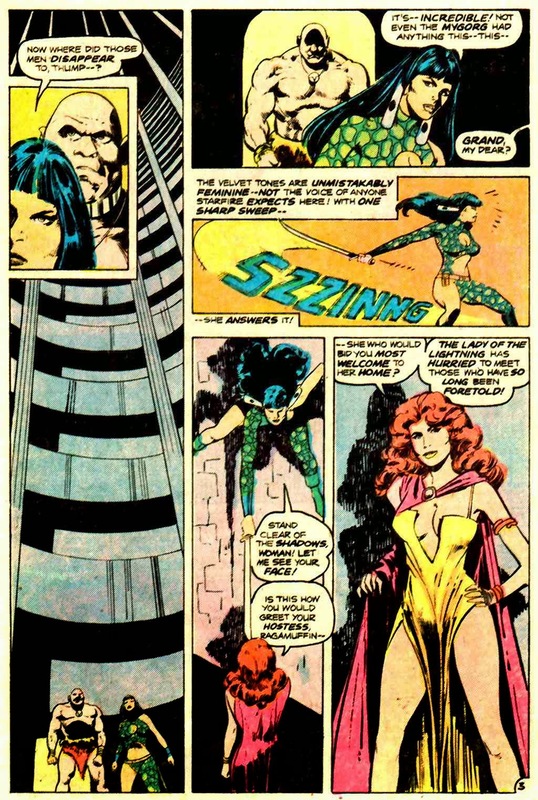 Tom Defalco took over after Englehart, so yeah, the musical writers syndrome I wrote about in my first Starfire post could, indeed, be considered a bunch'a fill-ins! I bought this in the day because I was an Englehart fan/completest. Had never read the comic before but Steve got me up to speed pretty quickly. Vosburg and Colletta art didn't do much for me then, but now I see it in a way better light. 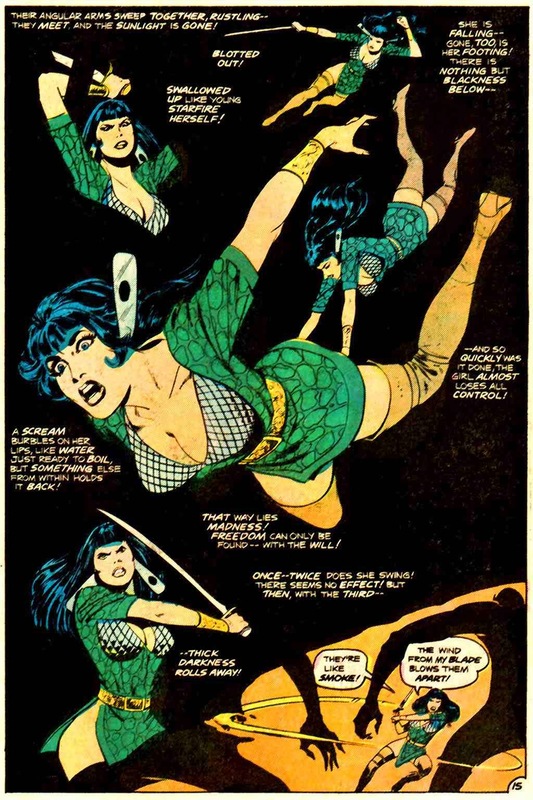 In fact, I have become quite the fan of Vosburg's art and Colletta's inks work well here. Englehart did the next issue as well and I always thought it was funny when they promoted it in the Daily Planet, the title was "Doesn't Have a Title Yet!". - Jeff Clem, who has to be Anonymous because his damn computer will not let him do it right. 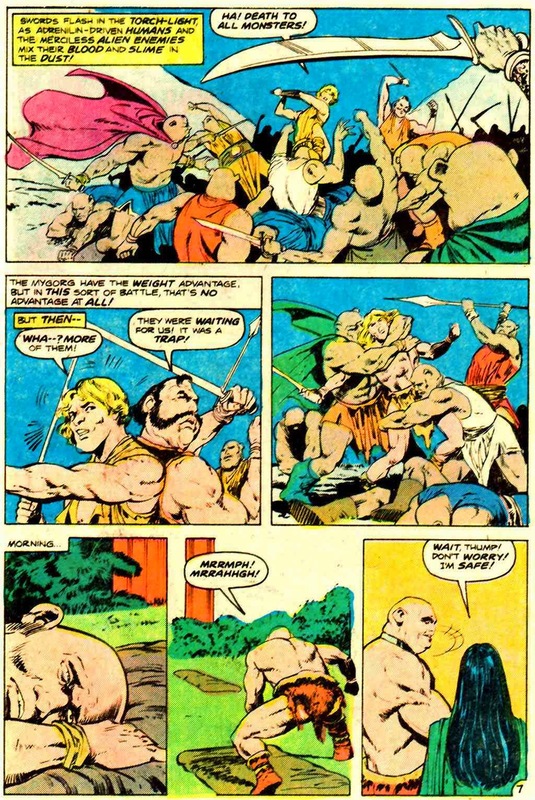 How did that giant phallus on page two make it past the Comics Code? Someone was asleep at the wheel that day. Yes, but its top and side are obscured on page one (intentionally so), but it is on full display on page two, panels 2 and 3. Again, the Code boys must've been on lunch hour when that one crossed their desks.